The centenarian said ending his life should be his choice. A 104-year old Australian man said he will travel to Switzerland with the goal of ending his life. David Goodall, a scientist, plans to go to Basel for the purpose of assisted suicide in early May, according to Exit International, a group that advocates for end-of-life choice. Victoria is the only state in Australia where assisted suicide is legal. The state passed the “Voluntary Assisted Dying Law” in November 2017, but it will not go into effect until June 2019. The law is limited to those whose death is expected in no longer than six months. Goodall said he feels it should be his decision to choose to end his life. “My feeling is that an old person like myself should have full citizenship rights including the right of assisted suicide,” Goodall added. 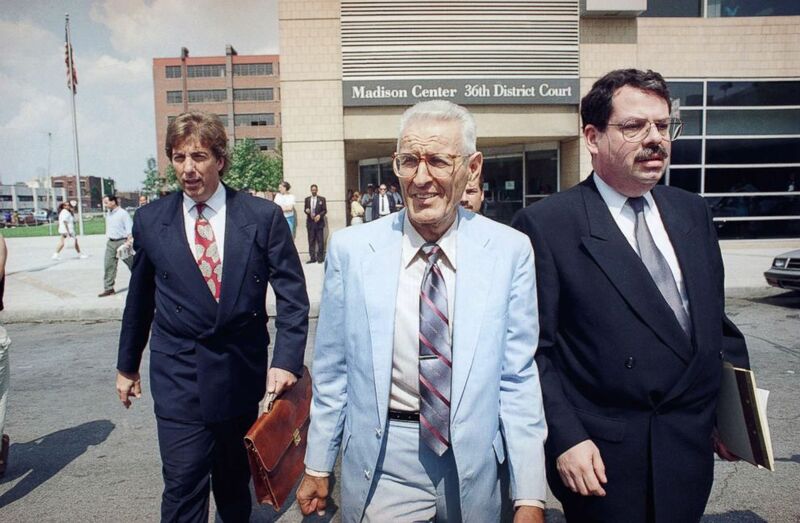 (AP) Dr. Jack Kevorkian, center, leaves the 36th District Court in Detroit, Aug. 27, 1993 with his attorneys Geoffrey Fieger, left, and Michael Schwartz, right. Kevorkian attended a preliminary hearing on charges that he violated Michigan?s ban on assisted suicide. The Northern Territory -- in the central and central north of Australia -- briefly legalized assisted suicide in 1995, but the law was nullified in 1997, according to the Euthanasia Laws Act of 1997. Although Exit International advocates for individuals to have the option of assisted suicide where they live, the organization said it will help Goodall, who will be accompanied by his long-time friend, Carol O'Neil, make the trip to Switzerland. It is unclear when Goodall will travel to Switzerland.